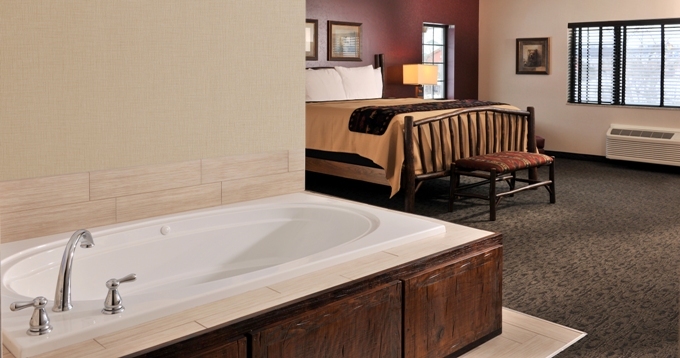 With rooms that provide a warm woodsy feel and modern rustic decor, the new Stoney Creek Hotel & Conference Center in Independence, MO, offers six different lodging styles that fit every guest’s needs – whether it’s a business or extended stay traveler, vacationing families and family reunions, or a couple looking for a quick getaway. Equipped with 55” TVs, many rooms also feature balconies and lake views. Some offer whirlpools and fireplaces, and some are pet-friendly too. Microwaves, refrigerators and Keurig machines are available in every room. In addition, guests may enjoy complementary hot breakfasts in The Café or use the fitness room, featuring four cardio machines and a weight machine. This smoke-free hotel also offers complimentary Wi-Fi and an indoor/outdoor heated swim-through pool. Named after Independence’s first mayor, William McCoy, the cozy McCoy’s Whiskey and Wine Bar displays photographs of the mayor and early Independence. It’s a great place for cocktails, finger foods, and listening to great music in the bar or its screened-in porch. Because Stoney Creek’s service stands out from the competition, guests tend to feel like they’re staying with a friend or family member – not at a hotel. The staff’s strong motivation to help and serve others goes above and beyond, to make sure that guests have a great experience. Each employee receives in-depth training, which ensures that every guest receives top-notch service. Stoney Creek carefully chooses each location to best match its distinct style and culture. The hotel and conference center in Independence has a unique location near the Falls at Crackerneck Creek. Sitting just off of a lake, it provides beautiful views of the falls and recreation opportunities along its the two-mile walking path. This property is located in a great suburban community and just a few blocks away from the Independence Events Center and shopping. Yet it’s still only 10 minutes from downtown Kansas City. Whether you’re enjoying a stay-cation or visiting the Kansas City Metro for the first time, Stoney Creek Independence offers guests a truly unique experience.